A new Learning and Lifestyle Hub has opened in Castle Hill offering skills development and opportunities for young people. The service has been opened by Endeavour Foundation which employs more than 400 people with intellectual disability in western Sydney. 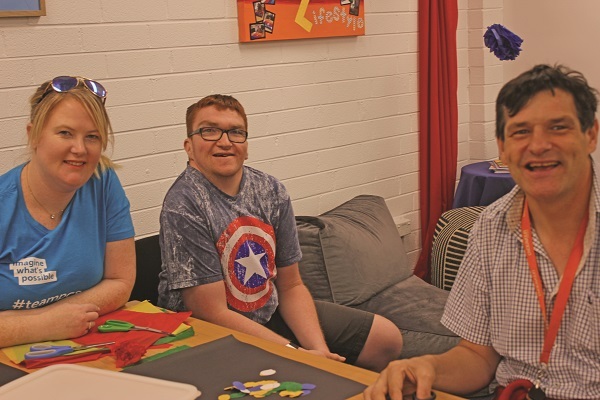 Nicholas, 26, a gold medallist in the Special Olympics, a skilled gymnast and a science buff, attends Castle Hill Learning and Lifestyle once a week. General Manager Carlos Aguado said Castle Hill Learning and Lifestyle would offer opportunities that didn’t exist locally before. “We already offer jobs and training at our Castle Hill Business Solutions site but many of the people who work there told us they wanted the chance to develop other skills too. “In response, we’re rolling out new 10-week learning courses tailored to developing specific skills people need, such as numeracy and literacy, life skills, health, community engagement, computers and morenbecause we know learning doesn’t stop when people finish school. Spaces at Castle Hill Learning and Lifestyle are limited. For more information and for free advice about the NDIS, call 1800 112 112 or go to endeavour.com.au.